The Fiona Button Scarf is a lovely piece for both fall and winter and is crocheted lengthwise in a slightly modified granny stripe. Two buttons join it together to create a long loop like an infinity scarf, or wear it unbuttoned for a traditional scarf. Versatile and pretty, lofty and warm! 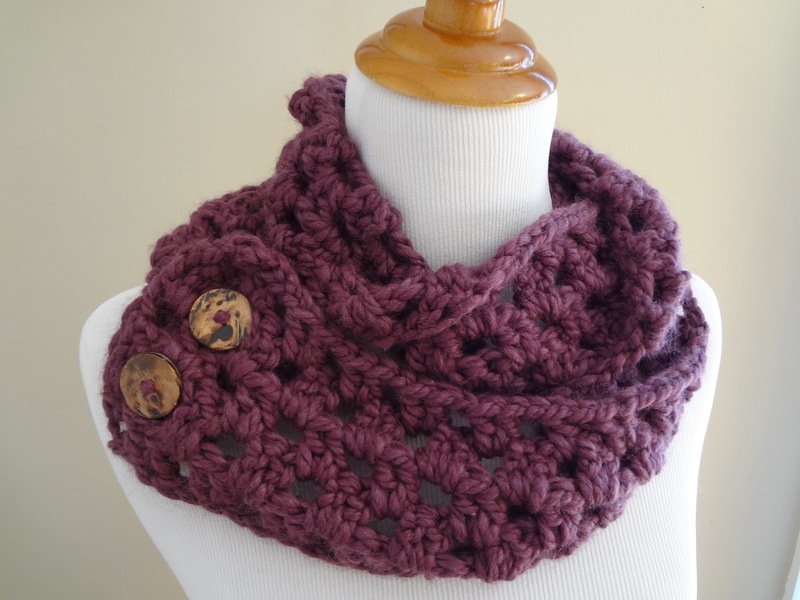 No need to crochet button holes either, just use the decorative holes from the scarf. Get here the FREE PATTERN !